Coleman Agriculture is a 6th generation family owned and operated farm with headquarters just south of the small community of St. Paul, Oregon. It all started in the spring of 1847 when James Coleman, his wife Frances and his infant daughter Anna left behind their friends, family and everything they knew in Iowa for the promise of a new life in Oregon. Finding their way via the Oregon Trail, the family was one of the first to settle in the St. Paul Mission, putting plow to earth and beginning their legacy. Six generations later, the Coleman family has grown and expanded across much of the Willamette Valley – some of the most fertile land on the planet. Over the past 170 years, the crops and farming methods have changed, but their innovative spirit and impassioned work ethic remain deeply ingrained in their family and business. They now manage over 8,000 acres of land. 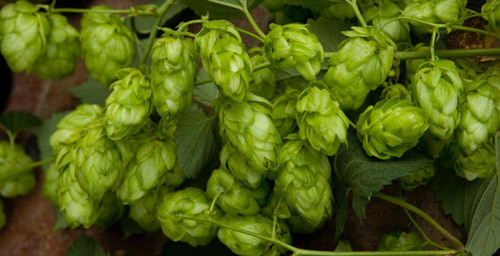 When it comes to hops, Coleman Agriculture is one of the most diverse hop growers in Oregon, producing over 2 million pounds, from 22 distinct varieties, every year. 95% of US-grown hazelnuts come from Oregon and Coleman accounts for a large chunk of that total production. Since first planting hazelnut trees in 1969, the family has harvested over 20 million pounds of nuts. Rounding out their primary plantings are seed crops and vegetables, varying the acreage and types of vegetables planted each year to increase the biodiversity and overall health of the soil. Believing that by combining hundreds of years of traditional farming know-how with modern sustainable methods, the Coleman family strives to utilize their land in a way that best serves everyone. That’s why they partner with conservation-minded folks like Salmon Safe, Oregon State University and the Natural Resources Conservation Service. So how does a multi-generation family stay intact? The obstacles to survival are not uncommon in multi-generational farms. According to partner Liz Coleman, the game-changer was the family’s investment in a new business structure. Through robust efforts in organizational development, the Colemans have formed an ownership board that works closely with the company’s president in overseeing the crop management of its 12 entities. Today the land remains owned by individual family members but decisions about farming fall on the ownership board, board of directors and its non-family president. Cascade is proud to feature this member, producing the highest quality products in a responsible and sustainable manner, while remaining true to themselves and their heritage. How Important are Job Descriptions? Email Scams – How Can I Protect My Business? Business blog design and development by Matt Dixon.